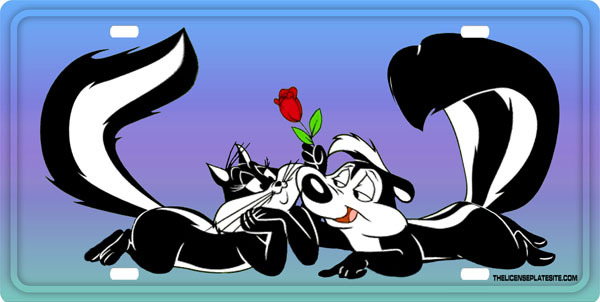 PePe Le Pew & Penelope License Plate is adorable, We can customize it for you, the background color is changeable too. We have sold many more without any text at all. This is a good seller, you should buy one or two too!